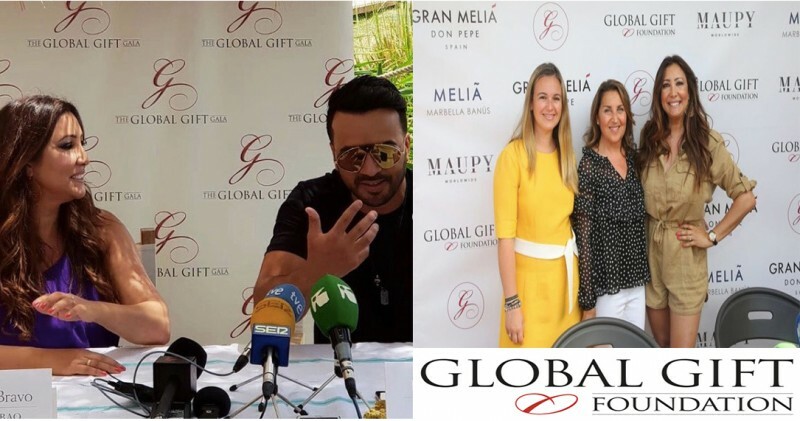 On Thursday, July 19, 2019, Maria Bravo together with the Latin star Luis Fonsi presented and talked about the Global Gift Gala to be held on July 29 at the Gran Meliá Don Pepe hotel in the seventh edition. The Gran Meliá Don Pepe hotel will host, on July 29, the seventh edition of the Global Gift Gala. Luis Fonsi is an international music star who collaborates in several international campaigns to help people in need. A true #GlobalGifter to be honored with the #GlobalGiftPhilanthropist award for his tireless humanitarian work on July 29. 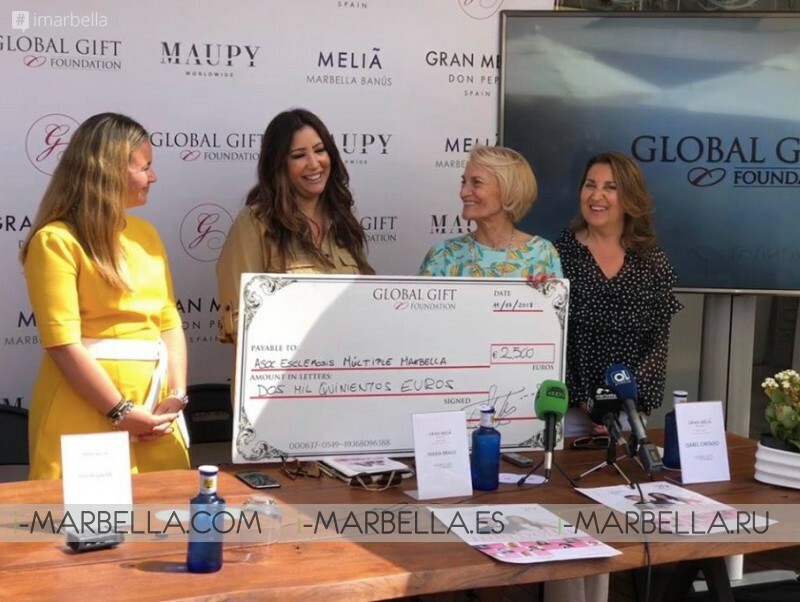 The event that will raise funds for the house that the foundation 'La casa Global Gift'' plans to open in Marbella during the last quarter of the year. At the event, which was presented by the Councilor for Social Rights, Isabel Cintado, the founder of the Global Gift Foundation, María Bravo, and the hotel manager, Rocío Galán, some of the details of the gala have been advanced, as the prize that Luis Fonsi will receive for his philanthropic work. Maria Bravo thanked Luis Fonsi for making time from his tight agenda to be part of the official presentation, in addition, she has acclaimed Fonsi's hard philanthropic work around the world. ''A lot of blessings for you and the humanitarian work that you do to help those most in need''. Dulce Cordoba (president of the Multiple Sclerosis Foundation) received an Annual donation that Global Gift Foundation makes her foundation. Isabel Cintado highlighted the commitment of the foundation with the city and emphasized: "The collaboration that the City Council is providing such causes led by this organization with the ultimate goal of advancing the social inclusion of the most disadvantaged". Cintado also thanked Global Gift that "has placed Marbella as a philanthropic destination and has opted to open a house in our city." "From our institution, we want to wish the greatest success to this new edition and encourage citizens to collaborate with the social causes that drive, said," she said. Bravo has stated also the Casa Global Gift of Marbella "is progressing" and has shown an "illusion" that it could open its doors in next fall. As for the gala, has confirmed some of the artists and celebrities who will be present as Luis Fonsi, Blanca Cuesta, Borja Thyssen, Pedro Sandoval, Pilar García de la Granja, Lorena Bernal, Niña Pastori, Chenoa, James Arthur, Descemer Bueno, Dama, Gary Dourdan, Enjy Kiwan, Rosa López and Montse Hidalgo, among others. In addition, on Saturday, July 28, The Global Gift Party Marbella will take place at 8:30 pm at Playa Padre. It is the main event of the Global Gift platform and one of the most important charity celebrations in the world, dedicating the result of its work to helping socially responsible organizations whose values coincide with those of Global Gift Foundation. Global Gift Gala is celebrated as a black-tie dinner; a magical evening that begins with the mediatic red carpet and welcome cocktail, a 3-course dinner by prestigious Michelin star Chefs, a live auction with unique "money can't buy" experiences and live performances by world-class artists. you can participate in this event by using the contact form below. Be part of the Marbella present, past, and future!